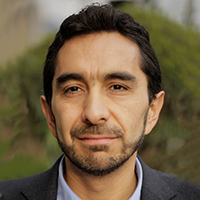 César Rodríguez-Garavito is Director of the Center for Law, Justice and Society (Dejusticia) and founding Director of the Program on Global Justice at the Universidad de los Andes (Colombia). His recent books include Business and Human Rights: Beyond the End of the Beginning (Cambridge) and Radical Deprivation on Trial: The Impact of Judicial Activism on Socioeconomic Rights in the Global South (Cambridge). He holds a PhD (Sociology) from the University of Wisconsin, a Master of Arts (Law & Society) from New York University, a Master of Arts (Philosophy) from the National University of Colombia, and a Juris Doctor from the University of the Andes.